Are you gearing up for your next auto loan promotion? Do you want to increase your odds of reaching the account holders or prospects most likely to purchase a new vehicle or refinance an existing one? Financial institutions are finding that they can gain more interest in their auto loan direct mail pieces by accurately targeting only the best candidates with the help of Variable Data Printing (VDP). Most people just throw away mail they determine to be “junk”. While I do admit to tossing a lot of mail without fully reading it, the pieces of marketing that stand out to me and demands my attention are the ones that really seem to know me personally, as opposed to one of thousands of other mailing list recipients receiving the exact same message. Working in the print industry, I’ve heard it many times… “print is dead”. It’s no wonder that most people buy into that theory. We’ve become tech obsessed. Smart phones are always within reach – to a lot of us, it’s a necessity. But did you know that 42% of young adults between the ages of 25 and 34 years old enjoy receiving and responding to direct mail offers? Wow! That’s interesting because based on conversations with credit union and bank marketing executives, that’s the exact demographic most are trying to reach with their marketing campaigns. Want to make sure your next direct mail piece gets the response you anticipate? Find ways to incorporate Variable Data Printing into it. Each piece that you send out can be highly personalized with a unique message, offer, or relevant graphic. Variable data printing makes the most of data you collect. This information can be used to create tailored campaigns with greater impact and engagement, making it more cost-effective than generic mass mailings. 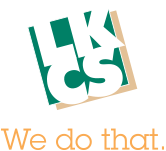 At LKCS, we use a software plug-in that can create a file for the digital press that is customized with special text or images based on information found in an internal database, or from another data source. Of course, the more accurate the list, the more options become available. Gone are the days of solely using data merge for addressing mail pieces. Now the possibilities are wide open! I view young adults as being more price conscious, since many are still in the process of building up credit. Therefore, I tend to choose economy vehicles for the 18 to 24-year old consumer. Those consumers between the adult and middle age brackets generally have established careers and growing families. They look for more seating and greater luggage areas, so I pick SUVs, vans, or mid-size crossover vehicles for these car buyers. The senior demographic can have varied tastes. We assume they are a little more financially stable and can choose vehicles that suit their lifestyle. Maybe they are enjoying retirement and traveling more. I like to think that they are choosing luxury sedans so wherever they go, they arrive in style! Based on experience, first names alone are not strong enough indicators of gender. If you want to switch out graphics based on gender, be certain the mailing list contains fields with Mr., Mrs., or Ms. This is the most reliable way to trigger the variable graphic switch. Color changes in the offer also strengthen the gender differences. Male recipients might prefer darker, more saturated colors, whereas females might be drawn to softer, more muted or pastel colors. Or maybe in this case, the auto loan purchase letters are coded in blue and the auto loan refinances are coded in red. Do you see the possibilities that exist for your next auto loan marketing promotion? Although I only touched on a few examples of variable data printing, don’t be afraid to experiment with your own ideas. You’ll be glad you did! Get in touch with us if you’re looking to try out more personalized marketing messages.